The former University of Maine basketball player from tiny Saint Agatha in northernmost Maine ran through torrential rains and a heavy headwind to place 25th overall among the 13,391 women in the field and first among Maine female runners in a personal-best time for the race of 2 hours, 54 minutes, 2 seconds. 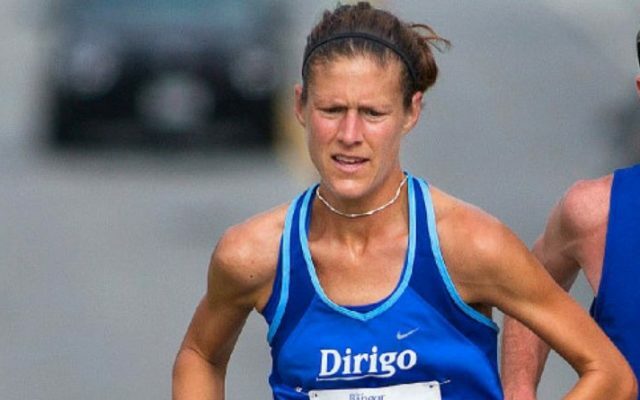 But a recent spate of injuries will prevent the 38-year-old Bangor resident from running the 123rd edition of the historic Boston race on Monday. “Ironically enough I was pretty tired and worn from all the training I’ve been doing in the past couple of years with no break,” said Guerrette, who last ran the 26.2-mile distance in Sacramento, California, in December when she completed the California International Marathon in 2:45:48. “I remember thinking to myself it would be really nice if I got injured. Guerrette initially pulled the soleus muscle in her left calf a few weeks after returning from Sacramento as she sought to alter her running gait in an effort to gain speed. That sidelined her for a couple of weeks, and upon her return to running she began experiencing pain in her left Achilles’ tendon, which required physical therapy. By this time Guerrette already had decided not to resume the rigorous winter training regimen required to run the Boston Marathon in mid-April. This would have been the second straight year she would have gone from running the California International Marathon in December to resuming full-fledged training for Boston soon after the holiday season. Guerrette was back on the roads again by early March but soon suffered her most significant injury, a broken fifth metatarsal (bone) in her left foot. Guerrette originally required crutches and now is wearing a protective boot, No surgery was needed, but her athletic activities are limited for six weeks. Guerrette did resume cross training last weekend with some swimming and lifting. “I told my doc my goal is to go for a run on Easter morning,” said Guerrette, the director of faith formation at St. Paul the Apostle Church in Bangor. Guerrette is unlikely to run the Grandma’s Marathon but may consider a fall race as she pursues trying to qualify for the 2020 U.S. Olympic Marathon Trials, scheduled for Feb. 29, 2020, in Atlanta. Guerrette thought she qualified when she won the 2017 Maine Marathon in 2:43:47, well under the “B” qualifying standard for the Olympic trials of 2:45:00. She later learned that while the Maine Marathon was certified by the Boston Marathon and by USA Track and Field, times there did not qualify for the Olympic Trials. Guerrette sees blessings in her hiatus from the roads, among them that through injury her entire body has the chance to recuperate from several years of savoring those grueling, 100-mile race weeks. There’s also the relationship between Guerrette’s passion for running and her spirituality. “I feel His presence when I run,” she said. “I give Him the glory in anything and everything I do, and I like to use it to be a blessing in people’s lives and to motivate and encourage others.